Routers are something that all of us need for their homes or offices. Many people think that quality of router isn’t important, but that’s big nonsense. Today I will help you to buy the best router under $100 without any overthinking. As I said, routers are very important and you will need to pay the price. Maybe $100 seems like a lot of money for something like this, but trust me, it is worth every penny. The good and stable internet is something that everybody wants. What Is The Best Router Under $100? 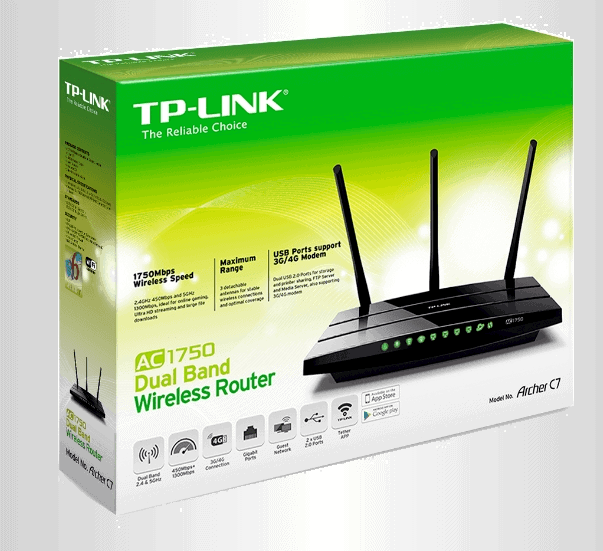 TP-Link is a really recognizable brand in this world, and this is one of the most famous models. You can see on the picture this router has three antennas so that you never miss signal. I really love this because, with a lot of cheap routers, you can’t expect signal in whole apartment or house. It has dual-band system, and that means that you can have a combined bandwidth of 1.75Gbps at maximum. That is ultrafast and if you have high-speed internet, you should consider buying this router. Media sharing isn’t problem with Archer C7 because it has two USB ports and you can fast and easy transfer media over the network. Thanks to three external and internal antennas, media sharing and online gaming is much faster and smoother. 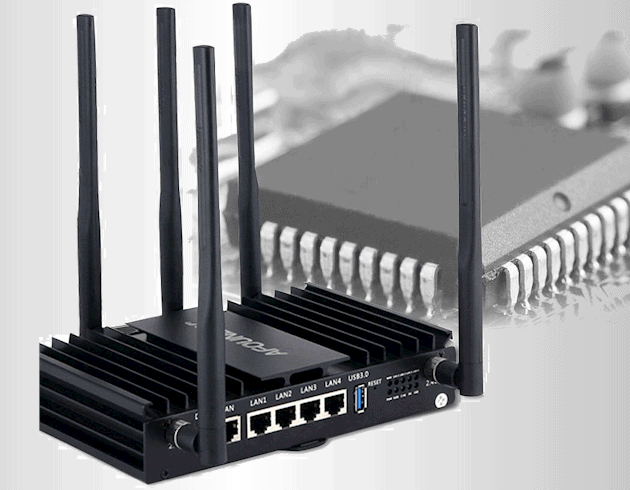 Another great feature of this router is IP-based control of Bandwidth. At the end of the day, this is one of the best wireless routers under $100 for home or office use. This is probably the best looking router on this list. As you can see immediately, there is a big screen on the side. And that is the unique feature of Securifi Almond. It is mainly made for easier setup and organization. Over 95% of customers can set it up in less than 3 minutes. That is amazing if you don’t know much about technology and I would like to see something similar to this more often. It can also be used to connect to another smart thing in your home like Amazon Alexa. It can be used as a wireless router or as a Wi-Fi range extender. If you live in small apartment, you can use it as a router without any problems. However, it is single-band system and maximum speed is 300Mbps. This isn’t much but remember that it can team up with any other router you have in your home and boost both speed and range. After all, if you want something simple to set up, but powerful for web or online gaming, maybe Securifi Almond is a great router for you. Can this be the best router under $100 for you? 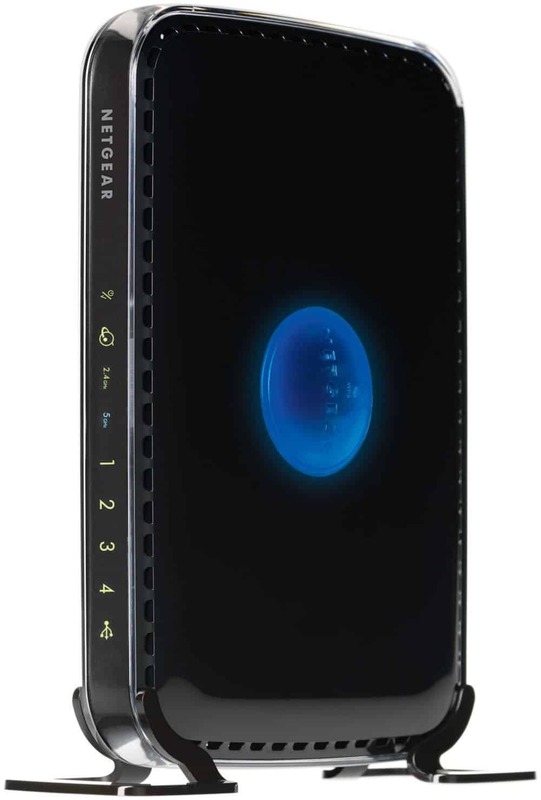 Netgear is another popular brand the world of routers. I will tell you now that I really love the design of N900, with this beautiful stand. However, because of that, you can’t position router in any different way than this. This isn’t major problem, but I think that is a normal feature for this price tag. It is dual-band system, and it rocks 2.4GHz band (that’s the band on which most consumers connect). It is incredibly fast and you will really see the difference between N900 and normal, budget router. Another band is 5GHz and that is amazing for devices that can support it. There are two USB ports for pretty fast transfer media over the network. I think USB ports are something that should be a must on any router with this price tag. Netgear N900 is another great dual-band router on this list, and it is more than enough for any serious online gaming or some HD streaming. 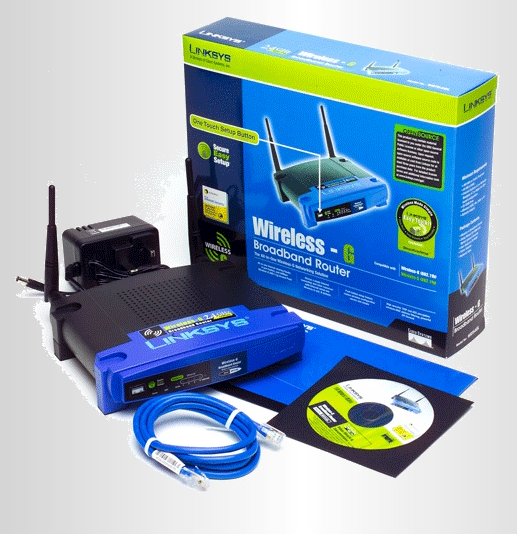 It is also great for a home with a lot of wireless devices. Asus is really stepping up the game with four antennas mounted on this router. 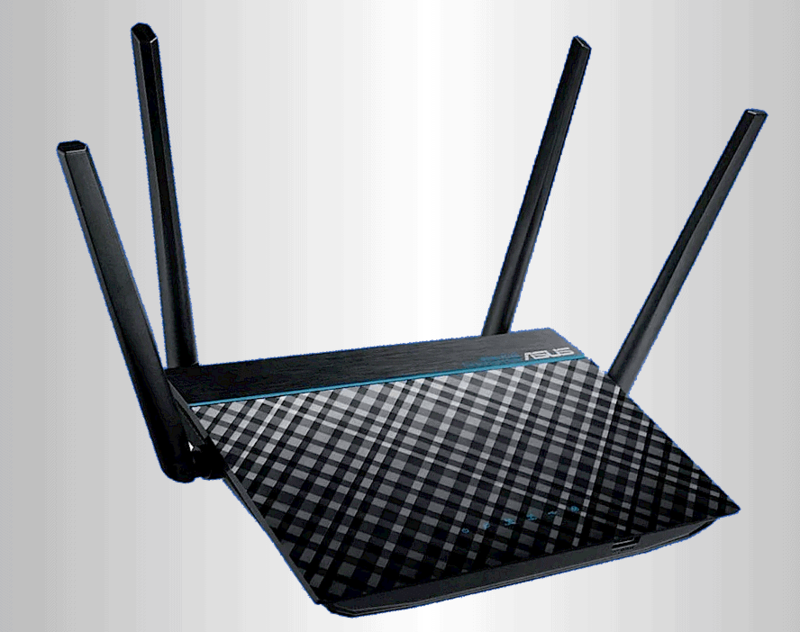 That means that this router will give you the best wireless signal no matter how far are you from it. Because of this, make sure to password protect your internet. RT-ACRH13 is great because it can support many devices at the same time. I also love USB 3.0 port at the front for even faster media sharing. Port is colored in blue, and I really love this black-blue theme on this router. It is dual-band system, so you won’t have any problems with internet speed capacity. One band is running at 2.4GHz and the other on 5GHz. It is really offering the maximum for clients with wireless devices that support 5GHz band. I need to add that it is pretty straight-forward and easy to set up. And that makes this router the perfect option for home or small office. Maybe RT-ACRH13 is the best router under $100, who knows? This router is the cheapest on this list, and that’s because I wanted to include something that is on a budget but still has some great features. WRT54GL has two antennas, and that will be enough for small homes with normal usage. 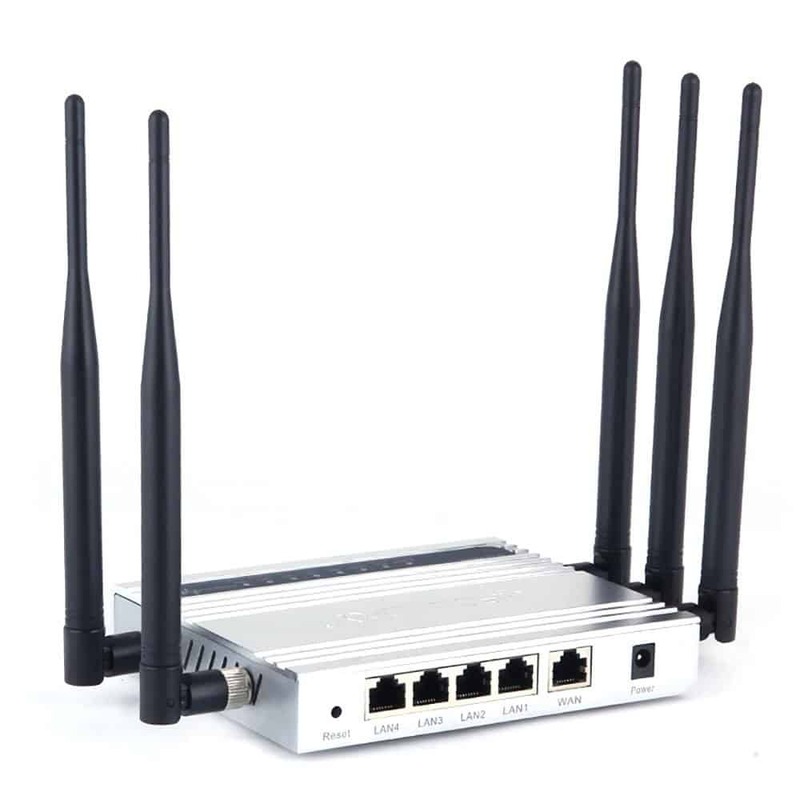 It is a single-band router and it can share internet connection via 802.11b/g protocol. Maximum link rate is 54Mbps, but as I already mentioned above, it is for normal people with standard internet speeds. The one thing that I absolutely love about this router is easy and simple set-up process. You can open and install it in a couple of minutes without any difficulties. It also has enhanced security, made for safer connections. It also has an in-built firewall, so you really have nothing to worry about. I would like to see this kind of stuff more often. After all, this is a great router for small homes with normal internet speeds. But if you want something faster with more features, maybe you should pick something else from this list. This is second Asus router on this list, and I need to say that they really know their job. All of their routers are well made with nice features. Also, their design is phenomenal. 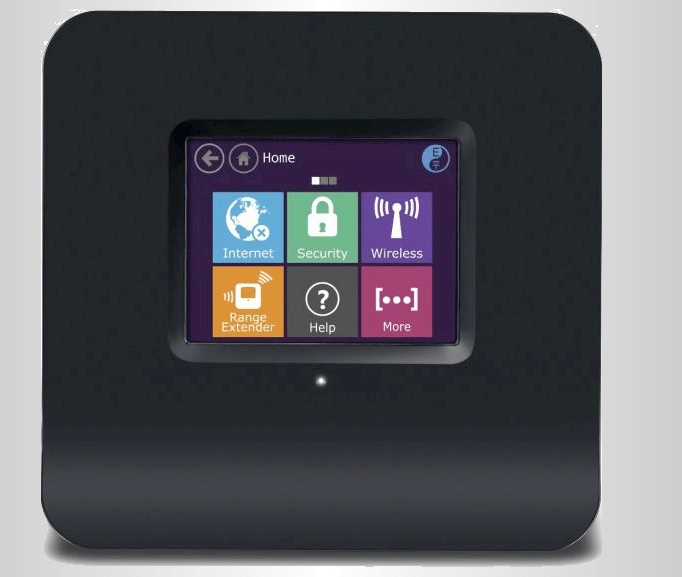 I really love this black design with squares on the top of the router. It has three antennas and they are strong enough to cover a whole apartment or house you are living in. It is also dual-band router and while on the 2.4GHz band, it is probably working faster than any other on this list. It also supports super-fast internet connections to a maximum of 900Mbps. This is more than enough for normal setup. 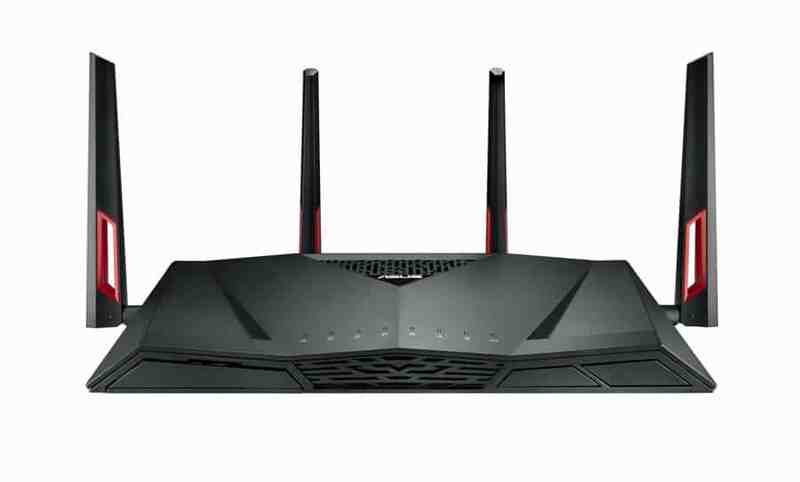 It is using N technology for better performances in online gaming and streaming, but it is also compatible with 802.1a/b/g devices. I also think that Asus dashboard user interface is really easy to set up. And the last thing that I love about RT-N66U is two USB ports for fast and easy media transfer. After all, this is definitely one of the best routers under $100. This one is on the edge of $100. But trust me, you will love it. You can immediately tell from the picture that this thing is advanced. It has six antennas, which is more than enough for whole apartment or house. It has the best signal strength on this list by far. AFOUNDRY claims that it is perfect for places smaller than 4300 square feet. So one is 100% sure, you won’t have signal problems. I love the USB 3.0 port because things like media transfer become super easy. There are 3 processors working at the same time and that is another reason why this router is good. Because of that, you can connect up to 100 wireless devices at the same time. That is a really big number. It supports the total speed of 1200Mbps – which is more than enough. However, it is made for big homes or offices. And the last thing about this router is lifetime warranty and 24/7 technical support. AFOUNDRY is the pretty safe pick if you have enough money for it, it has all the great features that one router needs to have. This is definitely the candidate for the best router under $100 on this list. This is a little brother to a previous router on this list. It has a lower amount of features, but it costs less. 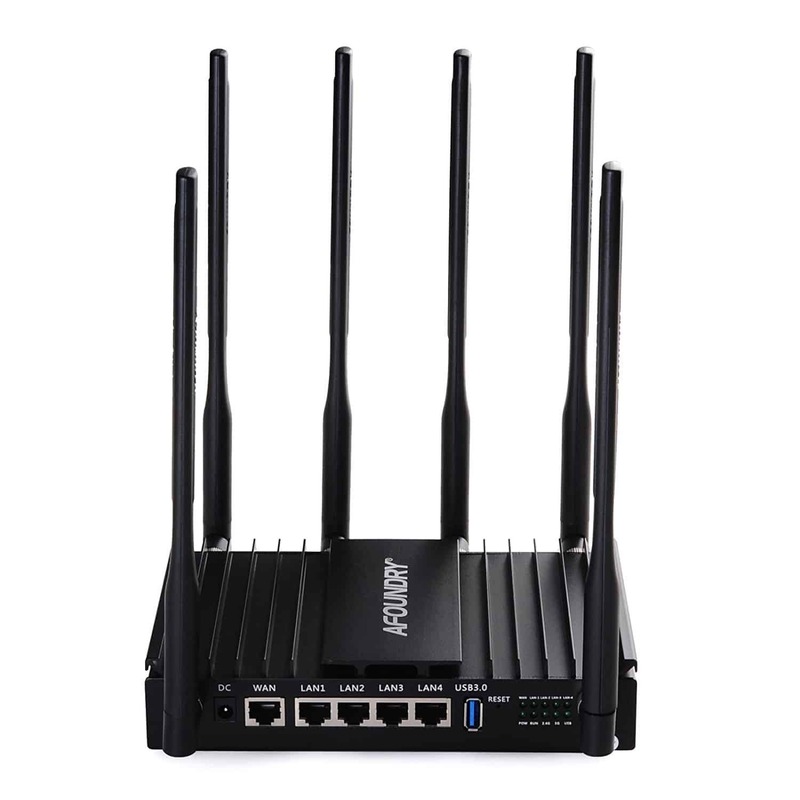 If you liked the idea of AFOUNDRY routers, but you don’t have that amount, maybe this is right choice for you. It has 5 antennas, which is more than a lot other routers on this list. You won’t have problems with signal strength. I also need to mention the design, because it is made from metal. It is powered by 1 processor, but powerful enough to support 300Mbps. As I already said, there are 5 antennas, and 50 devices can connect to it. It covers around 2100 square feet of space. I also love the fact that 50 devices can connect at the same time without any problem. This is really useful because there is a lot less heating, so the router can run faster and smoother. So if you love AFOUNDRY and want something on budget, this is great pick! This is another Netgear router. I already mentioned N900, but this is a little cheaper option. For just under $50, it is perfect for gamers and streamers. I also need to say that I really love this design. I love big blue circle on the middle and I like that the stand is removable. 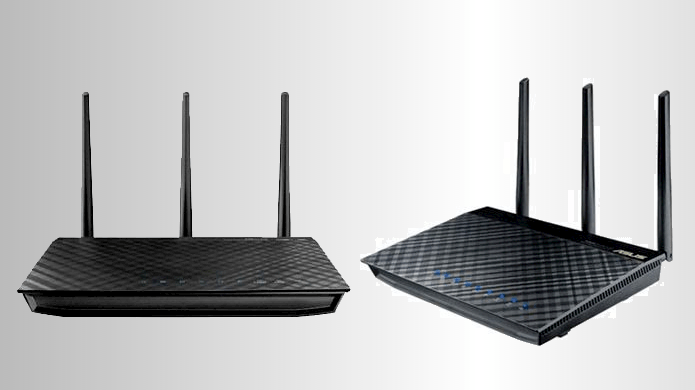 You can position router however you want, which isn’t the case with more expensive N900. It has dual-band system which is perfect for this price tag. It reduces interferences for better connections to more WiFi devices. It supports pretty high maximum speed – 600Mbps. For most gamers I know, this is enough. It supports Windows 8, and because of Netgear Genie, it is easy to install and set up. I hate long and complicated installation processes. That’s why I put Securifi Almond Touchscreen on this list, but as I said, this one is also simple to set up. If you are on the budget but you want a fast and good router, buying N600 makes sense. This is another great router from really popular brand in this field. It is looking pretty basic, with 2 antennas, but don’t let that disappoints you. It is a really powerful router, and for this price tag, it is great. It is a dual-band router, so there won’t be any problems with WiFi connections. On band is running at 2.4GHz and the other on 5GHz. It is pretty fast and maximum speed is 600Mbps. I think this is pretty good and solid for normal families with normal internet speed. There are two USB ports for fast media sharing or connecting to some devices like a printer. I would like to see 3.0 ports, but for this price tag, it’s okay. I will always mention set up the process because I think that is really important part of every router. They should be easy enough so people that don’t know much about technology can install them. And that is the case with this one. It is easy enough for everyone, and it can be finished in minutes. After all, what is the best one? What should you buy for your home or office space? $100 isn’t a small amount for the router, and when buying something like this, you need to be careful. I hope you learned something new today about routers and now I will tell you my opinion on them. For me, the best router under $100, is AFOUNDRY Dual Band Wireless. I really love it. It is a little bit more expensive than others on this list, but it is worth the price. I love the fact that 100 devices can connect. So it is great for big homes, villas, hotels etc. It also has 6 antennas so you never lose signal again. After all, it is a great pick and if you choose to buy it, trust me, you won’t make a mistake. 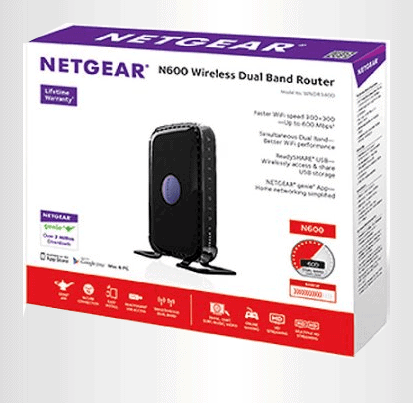 However, if you are more on a budget side, my advice is to go with a less expensive version of AFOUNDRY or with Netgear N600. They are both great. 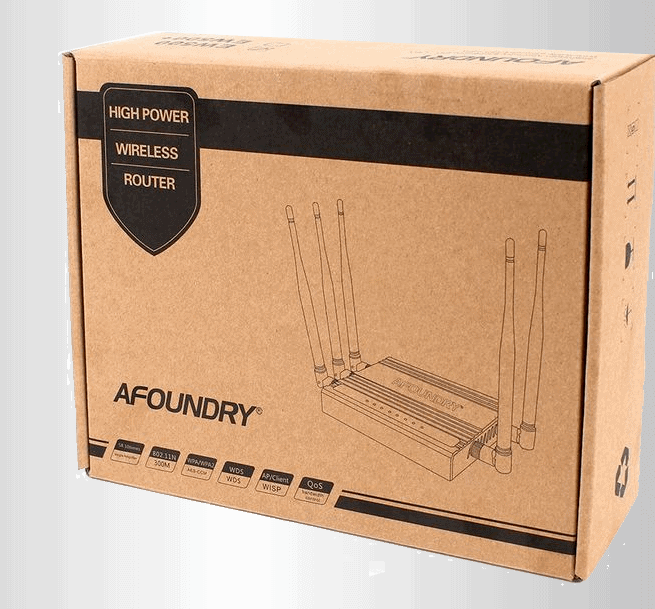 If you need a router for clients and guests, my advice is to go with AFOUNDRY. It can allow 50 devices to connect, and it also has 5 antennas. The only problem is the maximum internet speed of 300Mbps. 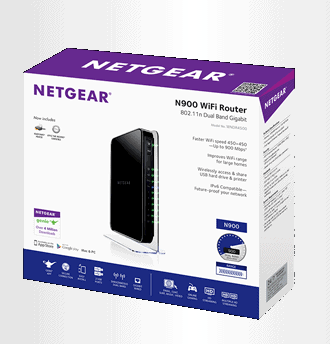 But if you want a router for home use, go with Netgear N600. It has all the great features, and it supports the speed of 600Mbps.